The feeling of a World Series win in this region of the country has become something of a foreign concept. Twenty-seven years have passed since the Brewers or Twins made the Fall Classic; 36 years have come and gone since Milwaukee was last in the Series, the fourth-longest drought of any franchise in Major League Baseball. In western Wisconsin, we presume that we’ll spend some late-October evenings watching a couple of good baseball teams battle on Fox, but will reserve the vast majority of our athletic mental space for the Packers and Badger football. The 2018 Brewers did not want to us to drift so quickly from baseball, and almost ended that third-of-a-century drought. Sure, we figured the Milwaukee Brewers would be good this year, but did we truly think they would make it to within one game of the World Series? Until partway through the playoffs, most realistic fans likely thought not. We figured the Milwaukee Brewers would be good this year, but did we truly think they would make it to within one game of the World Series? Brewer Fever – to borrow a circa-1980 jingle, which is definitely worth a listen on YouTube – was pervasive among us sports fans in the Chippewa Valley. If you are a longtime reader of this column you know about my Minnesota sports fandom, but this autumn – helped by the fact the Twins and Brewers are no longer serious rivals since the Brewers’ departed the American League in the late-’90s – I was fully hoping to see the Brew Crew get to the Series. No, I didn’t pick them to get there, but my heart hoped they could do the deed. That “Brewer Fever” song was stuck in my head for days. Seven years ago, the Brewers similarly found themselves in the National League Championship Series with home-field advantage. Yet, despite a good dose of enthusiasm heading into that set of games, I do not recall optimism holding through their ultimate elimination in the sixth game by the dreaded St. Louis Cardinals. This time around, plenty of fans believed the Brewers could dispatch the Los Angeles Dodgers. The faith in this year’s True Blue Brew Crew was more solidly grounded, and for good reasons. Brewer relief pitchers made hitting a difficult proposition for their opponents; this past spring, reliever Josh Hader set two records for strikeouts by a relief pitcher. Meanwhile, two new acquisitions in the past offseason – Lorenzo Cain and Christian Yelich – performed above most expectations. Cain probably won several games for the team solely through his ability to run down catches all through the outfield. 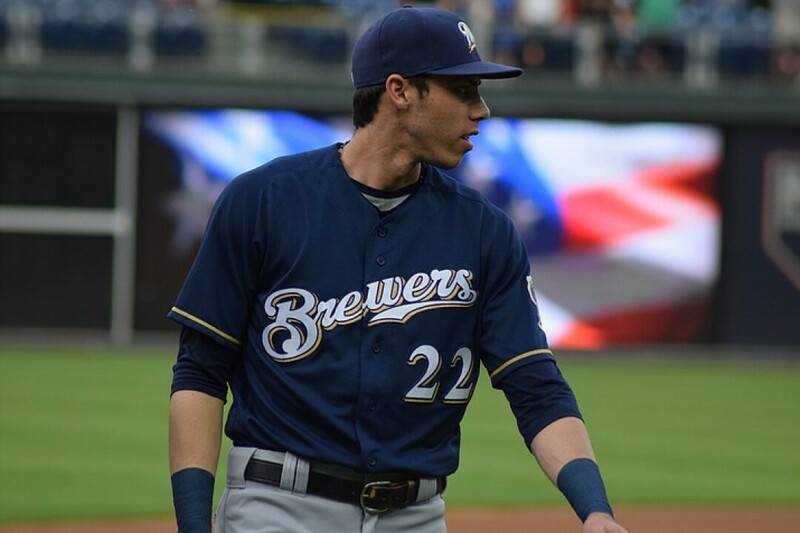 Yelich flirted with the rare feat of a Triple Crown (leading the National League in batting average, home runs, and runs batted in) and is the favorite to win the league’s MVP award. This was a resourceful team, constantly shifting players to and from the minor leagues and experimenting with an unorthodox approach of leaving starting pitchers in a game for only the early innings before going to the bullpen. The resourcefulness was a bit of a need: While mostly well-executed, the player moves were in part necessary due to a lack of quality performances from starting pitchers, plus occasional games-long stretches of offensive shutdowns. Flaws were quite apparent, but the Brewers kept finding ways to get past more conventionally assembled franchises to take a playoff spot, a division title, the best record in the National League, a sweep into the NLCS, then a full seven games with the defending NL champion Dodgers. For the 36th-straight year, we’re waiting until next season to have World Series baseball in Wisconsin. However, unlike 2011 – and those many seasons of Brewer incompetence from the mid-’80s onward – there is reason to think they could be back at the same spot next year. The bats may come alive. The pitching might lockdown. The experience will count. Be a believer in Brewer Fever.